City Club of Portland Draft Report Endorses Oregon Legalization Initiative. 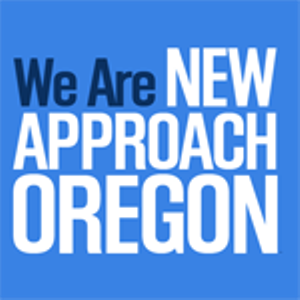 The influential City Club of Portland has issued a draft report in support of Measure 91, the legalization initiative sponsored by New Approach Oregon. If approved by City Club members, the recommendation will be a powerful, high-profile endorsement of the measure. It picked up the endorsement of the state's largest newspaper, The Oregonian, on Sunday. Santa Fe County Commission Approves Decriminalization Initiative, But…. The commission voted Tuesday to put the initiative on the November ballot, but questions remain about whether there is enough room on a crowded ballot to add the measure to it. State officials have outlined their concerns, but County Clerk Geraldine Salazar said she is confident those issues can be overcome. Stay tuned. York, Maine, Activists Hand in Initiative Signatures. Citizens for Safer Maine is handing in more than 900 signatures today for its initiative that would legalize the possession of up to an ounce of marijuana. The initiative needs 641 valid voter signatures to qualify. The signature turn-in comes after town selectmen voted against putting the measure on the ballot. Maryland Medical Marijuana Rules Come Under Fire. The state commission charged with writing the rules for medical marijuana in the state heard an earful from physicians, patients, advocates, and potential growers at a hearing Tuesday. They criticized the proposed rules as too burdensome and vague, and said they would preclude a dispensary from operating anywhere in the city of Baltimore. The commission has three weeks to finalize the rules, and the hearing in Annapolis was the first public hearing. More Than 500 Apply for Nevada Medical Marijuana Business Licenses. The state has received applications from more than 500 people to run dispensaries, grows, testing labs, and edible and infused product companies. Under a new state law, up to 66 medical marijuana businesses will be licensed. State officials will score the applications and announce their selections in November, with the first medical marijuana sales expected early next year. DanceSafe to Do Harm Reduction Event Ahead of NYC Electronic Zoo Music Festival. The rave culture harm reduction group DanceSafe is hosting a "Surviving Zoo" event tomorrow night ahead of this weekend's Electric Zoo music festival. They will be giving away gift bags containing drug information cards, earplugs, and condoms, and will be offering personal drug testing kits for sale. Click on the link for more details. Last year, two people died from drug use at Electronic Zoo, and festival organizers have responded by adding more law enforcement and making attendees watch an anti-drug PSA before entering. British Drug Reform Group Transform Publishes Drug Debater's Guide. The Transform Drug Policy Foundation today made available Debating Drugs: How to Make the Case for Legal Regulation. "This is a guide to making the case for the legal regulation of drugs from a position of confidence and authority. Organized into 12 key subject areas, it provides an at-a-glance summary of the arguments for legal regulation, followed by commonly heard concerns and effective responses to them. It is the product of Transform's extensive experience debating the issues around legal regulation, and running workshops to equip supporters of reform with the arguments and nuanced messaging needed to win over a range of audiences." Check it out. Drug Reform Funder John Sperling Dies. John Sperling, best known as the founder of the University of Phoenix, has died at age 93. Along with George Soros and Peter Lewis, Sperling was one of the troika of deep-pocketed funders whose financial support helped secure the passage of California's medical marijuana and sentencing reform initiatives (Prop 215 and Prop 36, respectively). He also helped fund Arizona's medical marijuana initiative, Prop 200. 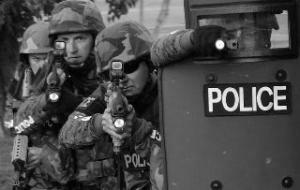 Federal Court Says Lawsuit Over Fatal Connecticut SWAT Drug Raid Can Continue. A US federal appeals court has ruled that police cannot claim immunity to quash lawsuits filed in the wake of a botched 2008 raid that left one man dead and the homeowner wounded. In the raid, a heavily armed SWAT team shot and killed Gonzalo Guizan and wounded Ronald Terebesi as the two men were watching television. The ruling said that because police responded with unnecessary and inappropriate force, they are not protected by "qualified immunity." Police were responding to a claim by a stripper that she had seen a small amount of cocaine in Terebisi's home. They found only a personal use quantity of the drug and no weapon. ISIS Burns Syrian Marijuana Fields. As if we didn't have enough reasons not to like these guys. Amateur video posted on the internet reportedly filmed recently in Akhtarin, near Aleppo, purportedly shows ISIS members burning a marijuana field. Syrian human rights observers reported that ISIS had captured the village from rival Islamists weeks ago. Click on the link to see the video. Australia's Victoria Labor Party Vows Harsh New Laws Against Meth. The opposition Labor Party is hoping to gin up votes ahead of November's elections by vowing to crack down on meth if elected. Leader Daniel Andrews is calling for new criminal offenses to be enacted and penalties of up to 25 years in prison for sales to minors. New offenses would include writing or circulating meth "cookbooks" and owning or operating properties that "turn a blind eye" to meth production, as well as selling meth near a school. Last Tuesday, Madera County supervisors adopted a revised cultivation ordinance that will dramatically increase fines for violating it. All grows must be in an enclosed 120-square foot building. The current fine is $250 for growing "outside" the ordinance; the revised ordinance increases the fine to $250 per plant. Last Wednesday, eight San Diego patients filed a complaint against the city and the mayor charging that the city's harsh land use and other restrictions on dispensaries and collectives violates the Americans with Disabilities Act. The complaint charges the city with violating state law with its restrictions. The complaint seeks to suspend enforcement of the city's ordinance until it is resolved. On Tuesday, California advocates raised the alarm on an amended medical marijuana bill. A bill intended to force law enforcement to return unlawfully seized medical marijuana has been amended in the Assembly Appropriations Committee to gut that language, and that has Americans for Safe Access raising the alarm. Senate Bill 1193 has been turned from a good bill into a bad one, the group says, and is asking sponsor Sen. Noreen Evans (D-Santa Rosa) to pull it. Click on the link to add your two cents. Last Friday, Jeb Bush came out in opposition to the state's medical marijuana initiative. Former Republican state governor and potential 2016 presidential candidate Jeb Bush has come out against Amendment 2, the state's medical marijuana initiative. "Florida leaders and citizens have worked for years to make the Sunshine State a world-class location to start or run a business, a family-friendly destination for tourism and a desirable place to raise a family or retire," Bush said. "Allowing large-scale, marijuana operations to take root across Florida, under the guise of using it for medicinal purposes, runs counter to all of these efforts," he added. Bush appears to be out of step with Florida voters, who are supporting the measure in the 85-90% range, according to recent polls. On Monday, advocates announced medical marijuana events this weekend. The Drug Policy Forum of Hawaii and the American Civil Liberties Union of Hawaii (cofounders of the Medical Cannabis Coalition of Hawaii) have announced three free public events on medical marijuana policy next weekend. 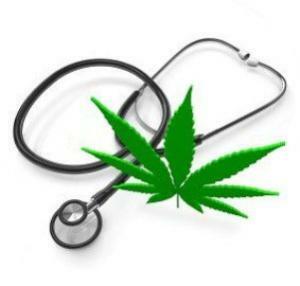 "Policy Perspectives on Medical Marijuana" will take place in Oahu and Hilo, while a talk session will be held in Kona. Click on the link for more details. Last Thursday, the state announced public hearings about its new CBD cannabis oil law. Iowans who have something to say about the state's new law decriminalizing the possession of low-THC, high-CBD cannabis oil for epileptics will get a chance at a series of public hearings. They will be held in six cities: Council Bluffs, Davenport, Des Moines, Mason City, Ottumwa, and Sioux City. Click on the link for times and dates, as well information on submitting comment via email or snail mail. On Tuesday, a Minnesota mom has been arrested for giving her son cannabis oil too soon. Although the state this year passed a law allowing for the use of some forms of medical marijuana, it doesn't go into effect until next July. That's too long to wait for Angela Brown, who traveled to Colorado to obtain cannabis oil for her 15-year-old son. Now she is facing two criminal misdemeanors, including child endangerment. The family says it is now considering moving to Colorado so the boy can get his medicine without his mom facing prosecution. Last Saturday, organizers conceded that their initiative signature-gathering campaign would fall short. There will be no medical marijuana initiative in the Sooner State this year. Saturday was the deadline for handing in signatures, and organizers concede they don't have enough valid signatures. They vow to be back at next year. The people trying to legalize marijuana in Alaska are in for a tough battle, if the most recent Public Policy Polling survey is any indicator. That poll, taken at the end of July and the beginning of this month, has the marijuana legalization initiative trailing, 44% to 49%. That's a reversal from PPP's last poll on the topic in May, which had the initiative leading by a margin of 48% to 45%. 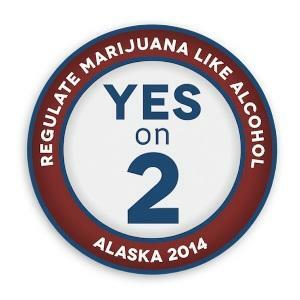 Neither set of numbers is likely to lead to smiling faces at the Campaign to Regulate Marijuana Like Alcohol in Alaska, the group behind Measure 2. The conventional wisdom among initiative experts is that they should be polling 60% or better when the campaign begins. Support for legalization is strong among very liberal (70%), liberal (67%), and moderate (54%) Alaskans. The problem is that Alaska is not a very liberal state. Only 24% of those polled described themselves as liberal or very liberal, while 43% described themselves as conservative or very conservative. Only a third (33%) of conservative voters support the initiative, and only a sixth (16%) of very conservative voters did so. That sentiment appears to extend to a demographic that generally supports marijuana legalization: young people. While, nationally, around two-thirds of voters 18 to 29 support legalization, in the PPP Alaska poll that figure was only 48%. But, as Firedog Lake's Jon Walker pointed out, Alaska is a relatively tough place to poll accurately because of its small population, economic diversity, and geographic size. Measure 2 supporters are going to have to hope that those difficulties mean that these poll results are an artifact, not an omen. But they will be doing more than hoping as the campaign heads for its final couple of months. California Medical Marijuana Statewide Regulation Bill Dies. A controversial bill that would have imposed statewide regulations on California's multi-billion dollar medical marijuana industry died yesterday in Sacramento. The bill, Senate Bill 1262, was blocked by the Assembly Appropriations Committee, and the effort to impose some order on the industry is now dead for another year. 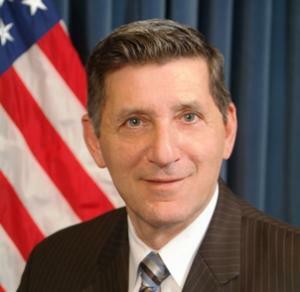 The bill sponsored by Sen. Lou Correa (D-Santa Ana) was supported by law enforcement and the state's municipalities, as well as by some elements of the state's medical marijuana community. But it was also strongly opposed by other elements of the medical marijuana and drug reform communities. 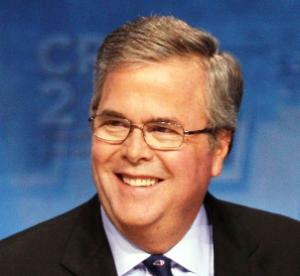 Jeb Bush Joins Opposition to Florida Medical Marijuana Initiative. Former Republican state governor and potential 2016 presidential candidate Jeb Bush has come out against Amendment 2, the state's medical marijuana initiative. "Florida leaders and citizens have worked for years to make the Sunshine State a world-class location to start or run a business, a family-friendly destination for tourism and a desirable place to raise a family or retire," Bush said. "Allowing large-scale, marijuana operations to take root across Florida, under the guise of using it for medicinal purposes, runs counter to all of these efforts," he added. Bush appears to be out of step with Florida voters, who are supporting the measure in the 85-90% range, according to recent polls. Overdose Prevention, Syringe Access Bills Pass in California. 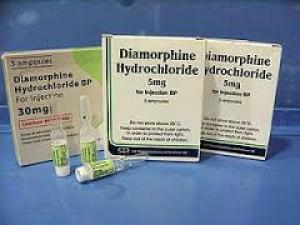 Two harm reduction bills, one allowing pharmacists to dispense unlimited numbers of syringes without a prescription and the other allowing them to dispense the overdose drug naloxone, have passed the California legislature. The bills are Assembly Bill 1535 (syringes) and Assembly Bill 1743 (naloxone). They now go to the desk of Gov. Jerry Brown. 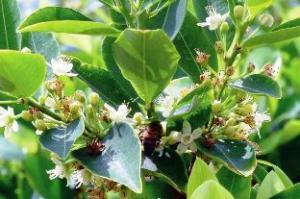 New Hampshire Declares State of Emergency Over "Smacked" Synthetic Marijuana. Gov. Maggie Hassan (D) yesterday declared a state of emergency to quarantine a synthetic cannabinoid product marketed under the name "Smacked." Her action comes after 44 people reported overdosing on the stuff after smoking or ingesting it. No deaths have been reported. Officials have revoked the business licenses of three Manchester stores where the stuff has been found. BC Court Rules Ban on Medical Marijuana Edibles Unconstitutional. The BC Court of Appeals ruled yesterday that it is unconstitutional to ban licensed medical marijuana users from possessing medical marijuana edibles or other products, such as creams or salves. The court ordered parliament to redraft the Controlled Drugs and Substances Act to allow for such uses of medical marijuana. The case is Regina v. Owen Smith. Colombian President Endorses Medical Marijuana Bill. President Juan Manuel Santos said Thursday he was endorsing newly introduced legislation to allow for the medicinal use of marijuana. The bill was introduced last month by a member of the governing coalition. WOLA Brief on Ecuador Drug Policy. The Washington Office on Latin America (WOLA) has released an issue brief, "Reforms and Contradictions in Ecuador's Drug Policy." The brief comes as a sweeping new penal code reflecting some drug reforms goes into effect and examines the complexities and contradictions of implementing the new law.